Amy, a spatial and visual artist, talks about her work with incarcerated men in San Quentin. By recreating and preserving places from their memories, she helps preserve their stories, feelings, and memories through that art. 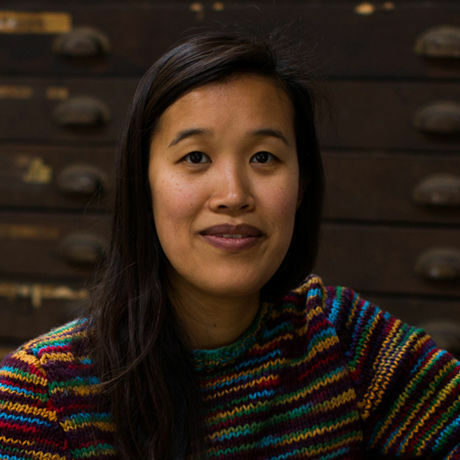 Amy M. Ho is a San Francisco based artist who builds video and spatial installations. Her installations utilize illusionary architectural imagery to bring attention to our existence as both physical and psychological beings. Amy has built installations at Yerba Buena Center for the Arts, San Jose Institute for Contemporary Art, Walter and McBean Galleries at SFAI and recently at the San Diego State University Downtown Art Gallery. Amy is currently working on a body of work in collaboration with inmates from San Quentin State Prison. Through this project, she is recreating spaces from their memories of life before prison. Amy has been teaching visual art at San Quentin State Prison through the Prison Arts Project for the last five years. She is currently the studio director at Real Time and Space, an Oakland based collective art studio and artist residency program, and a public education instructor at the San Francisco Art Institute. This year, Amy was recognized as a 2017 KQED Woman to Watch. In the past, Amy has received grants from the Zellerbach Family Foundation, the San Francisco Arts Commission and Oakland Stock. Amy has done artist residencies at the Lucid Art Foundation and Project 387 and was a fellowship artist at the Kala Art Institute in 2013.